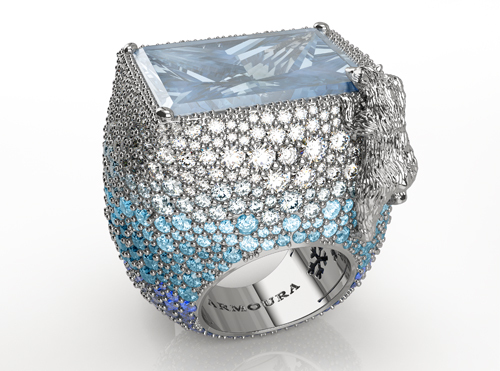 Armoura – An intricate mould was printed to create this Glacier ring with its white gold polar bear climbing over a blanket of sapphires and diamonds to reach an icy aquamarine. 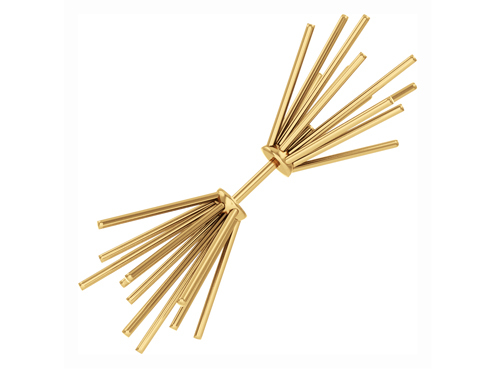 Avgvst by Natalia Bryantseva – The cosmos provided the inspiration and 3D printing the casting mould for this Explosion yellow gold earring, which is designed to be worn singly. 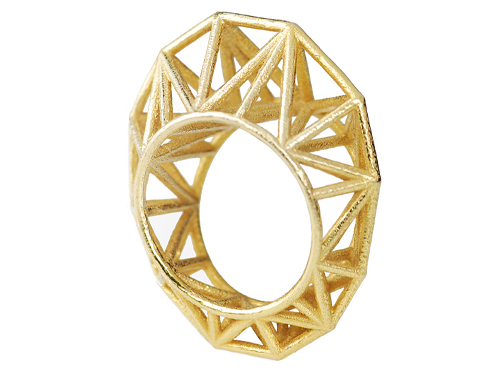 Boltenstern – This articulated whole-finger Resonance ring was designed using 3D software before being directly printed in yellow gold and then finished by hand by goldsmiths. 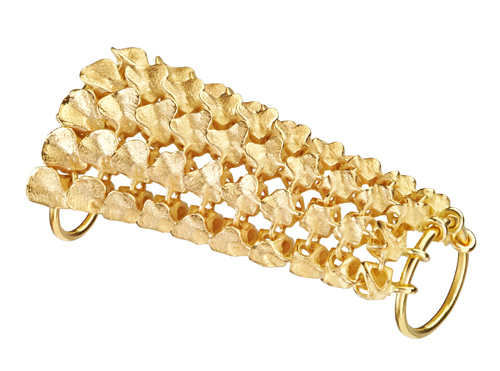 Claire Macfarlane – Inspired by the Statue of Liberty’s crown, the complex geometric shape of this Liberty Star yellow gold ring was made possible by first printing out a 3D prototype. 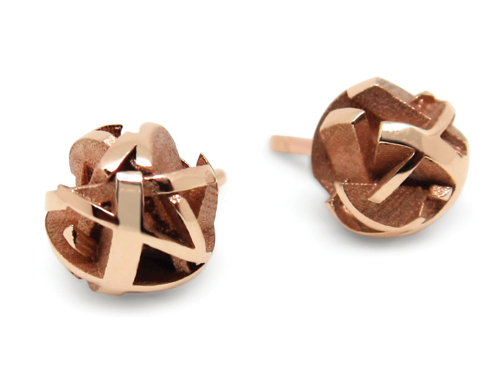 Farina Cheng – Intersecting matte inner surfaces and polished edges create a contrasting look in these Negative/Positive rose gold ear studs, which were printed directly in gold. 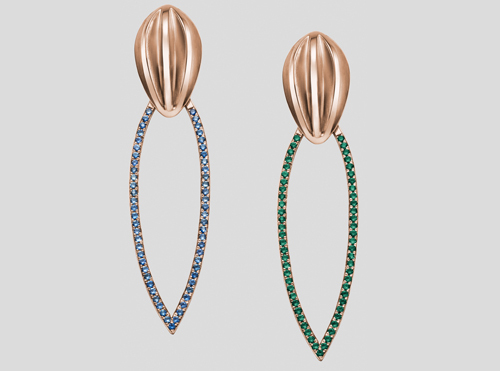 Lily Gabriella – These glamorous rose gold, sapphire and emerald earrings are one of many designer jewels that can be printed to order at 3D-printed jewellery specialist Banneya.